Adam Posen (Peterson Inst.) 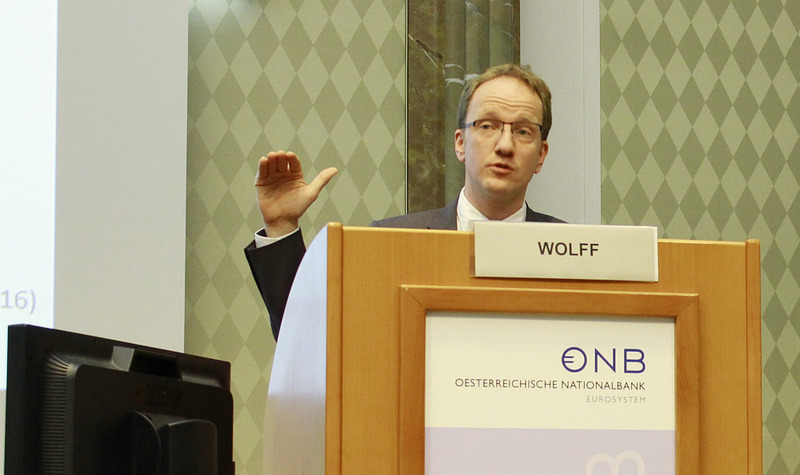 and Guntram Wolff (Bruegel) discussed prospects for the (post-Brexit) European Union from a US and a European perspective at this year’s Spring Seminar. A coordinated approach to correcting current account imbalances in the euro area, a re-thinking of EU convergence funds, greater defence cooperation and spending, a comprehensive trade deal with China, the prosecution of bankers responsible for the financial crisis, greater scrutiny of the SSM by the European Parliament, and the formalisation of a two-tier labour market would all help to alleviate the political and economic challenges facing the EU. These were some of the main proposals advanced by keynote speakers during the Vienna Institute for International Economic Studies’ (wiiw) recent Spring Seminar. A seminar note by Julia Gruebler and Richard Grieveson. This year’s wiiw Spring Seminar featured two distinguished speakers in the field of macroeconomics and governance from both sides of the Atlantic. Adam Posen is President of the Peterson Institute for International Economics in Washington D.C. Guntram Wolff is Director of the economic think tank Bruegel based in Brussels. In their keynote speeches they presented key challenges for the (post-Brexit) European Union and a priority list for policies to overcome them successfully. Both speakers agreed that the US trade agenda poses a threat to the European Union, and suggested building a partnership with China to strengthen trade bonds, support multilateralism and maintain the global consensus on climate change. Furthermore, they urged that Europe needed to take seriously US President Donald Trump’s threats to reduce the US security commitment to Europe, and therefore to invest more in European defence. Migration featured in both presentations. Mr Posen suggested the consideration of a two-tier labour market, to allow refugees and migrants to quickly integrate into the labour market, without degrading the employment benefits of incumbent employees. The speakers’ approaches to the EU’s internal problems were quite different. Mr Wolff argued that divergence of EU member states is more pronounced in the political, cultural and social spheres than in economic matters, and referred to current developments in Poland and Hungary. He argued that a reduction in current account imbalances in the euro area, particularly between the biggest economies of the post-Brexit EU, namely Germany, France and Italy, was crucial, and that the adjustment must come from all. He also argued that the impetus for productivity improvements must come from the national level. 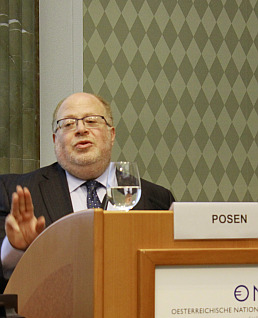 Mr Posen, meanwhile, argued for a serious re-think of the idea of EU convergence funds, noting that their returns – both politically and economically – have not been as high as expected. One of the reasons for their limited success is the moral hazard involved, including keeping people from moving. He also highlighted that there is a severe under-provision of both public and private investments. In his view, there is room particularly on the public side, which needs to be linked to structural reform. There is still a lot of work to be done to fully restore the European banking sector to health. Partly, this is a political issue. Mr Posen argued that if there had been more extensive prosecutions and conviction of bankers who contributed to the 2008 global financial crisis, some of the political grounds for today’s developments towards extreme right-wing parties gaining power would have been prevented. More broadly, both speakers argued that more needs to be done to resolve the post-crisis legacy issues in the sector, and to reform finance so that it better contributes to economic growth. 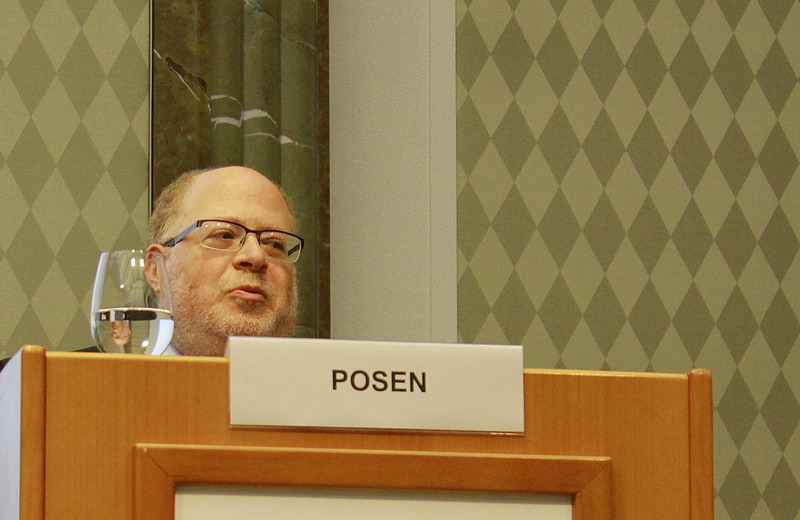 Mr Posen argued for a reduction in cross-border barriers to banking integration. Meanwhile, Mr Wolff alleged that the Single Supervisory Mechanism (SSM) set up to monitor banks’ financial stability is at risk of losing its credibility. The current issues in the Italian banking sector involve banks that were already identified back in 2014 as being problematic. He noted that it is not evident which measures have been undertaken to avert the current crisis, and that the European Parliament needs to better hold the SSM to account (following the example of their colleagues in Washington). Several videos and presentation slides from the seminar will be available on this website soon.